The streamlined Mercury 2 Pant is now even more appropriate for active ski touring. The brushed lining is woven into the shell to give a sleek feel. This, coupled with an updated mix of materials, enables the pants to be several ounces lighter than the original Mercury from Dynafit. The pants are still designed for daily use, with an abrasion-resistant weave and durable scuff guards. Zippered thigh vents help control your temperature as you ski up and downhill in comfort and style. The pants have Velcro-adjustable waists, but also feature belt and suspender loops if you want the perfect snug. The Dynafit Mercury 2 is a well thought-out ski touring pant. Durable stretch woven fabric is wind resistant and water-repellant. Elastic internal gaiters help keep the snow out of your ski boots. Waist is adjustable with Velcro on the sides and has belt loops. Scuff guards protect the cuffs from the edges of skis and crampons. Thigh vents zip open and are backed with a fine mesh for modesty. Zippered thigh pocket and two waist pockets keep you organized. Abrasion-resistant shell is coated with durable water repellent (DWR). This has been my go-to ski pant for backcountry skiing this season. I love these pants. 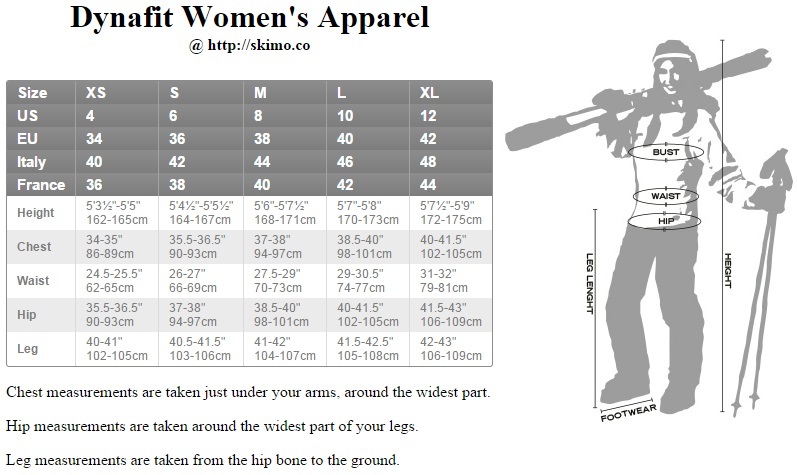 I am 5'8" and ~135 lbs and the mediums fit well. I used these for a 7 day backcountry ski trip where we were out for about 8 hours every day with no washing in between. They held up super well over the 7 days and kept their shape and dried well overnight. They fit a medium to heavy weight base layer underneath. I have used these in conditions from single digits into the 30's F with wind and snow and they keep both elements out. I was afraid of the pants tearing on my 7 day trip with use (sometimes I see pants get cut from skis on the ankle cuffs), but they have held up super well. The look is fitted and flattering. I would recommend.